Elite Fabric Pop Up displays are one of the quickest easiest way to create a large backdrop for retail, shopping centre or exhibition displays. Elite Pop Up Fabric graphic is a single, continuous panel printed to a durable, wrinkle-resistant polyester. Elite Fabric Pop Up displays are available in straight and curved shapes. 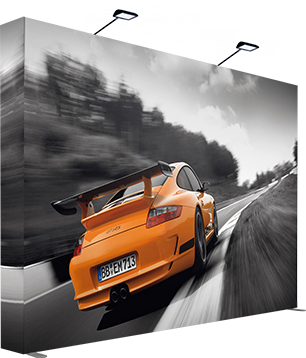 Elite offers you a seamless backwall with dye-sublimation fabric graphics. Because of its velcro attachment system, the fabric is automatically stretched over the frame to display a perfectly taut image without wrinkles. The colors and the graphic itself are extremely durable over time, guaranteeing an impeccable finish time after time. Lighter, slimmer, and quicker to set-up than a traditional Pop Ups, Elite Fabric Pop Up gives you the ability to reduce and control your exhibiting costs. Elite Fabric Pop Up Straight available in 4 sizes ranging from 5ft to 20ft and Curved available in 2 sizes 8ft & 10ft wide. 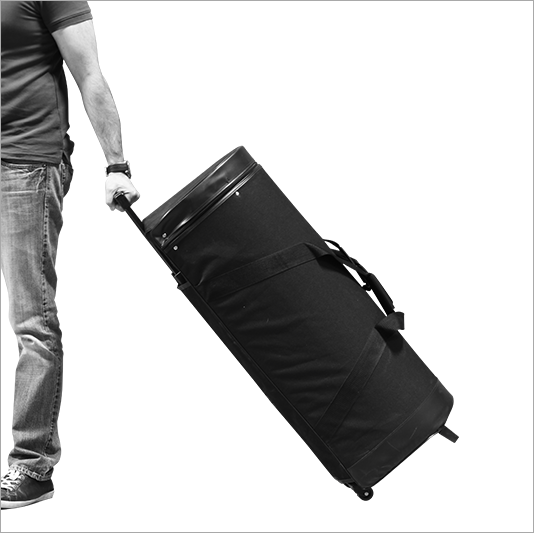 Standard soft carrying case is included with all Fabric Pop Up displays. Optional hard carrying cases are also available. Straight Fabric Pop Up can be printed double sided. Amaze your audience with a stunning graphical exhibit 20' Elite Fabric Pop up displays. 20ft Fabric Pop Up models includes (2) Extruded aluminum straight pop-up frames with leveling feet and (1) 20ft full color custom high-definition dye-sublimation fabric graphic. 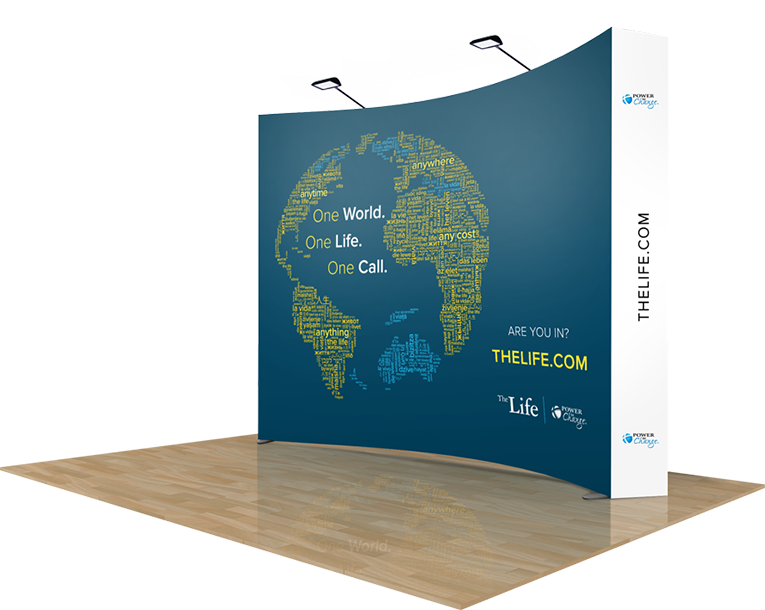 Combine 8ft and 5ft Elite fabric pop up displays to give custom look to your 20ft booth. Open the frames, connect the hooks, and your displays are complete. 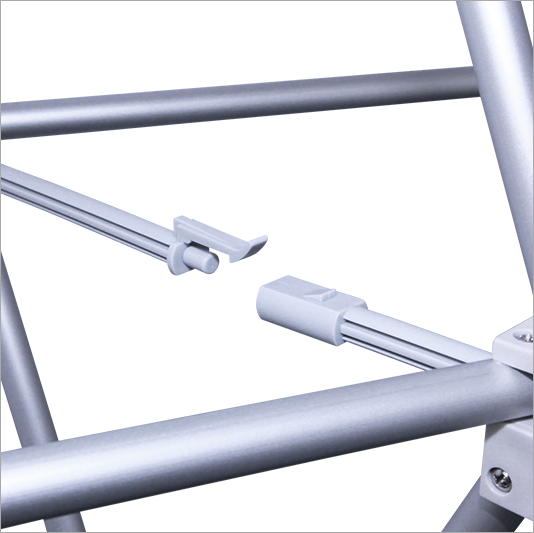 The Aluminum connectors hook together together to form the stable structure of the Pop Up. 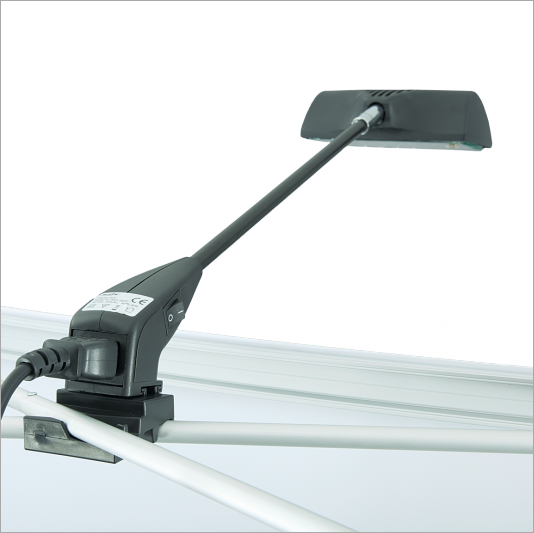 Optional Pop Up Light connects to the frame on the Elite Fabric Pop Up models. 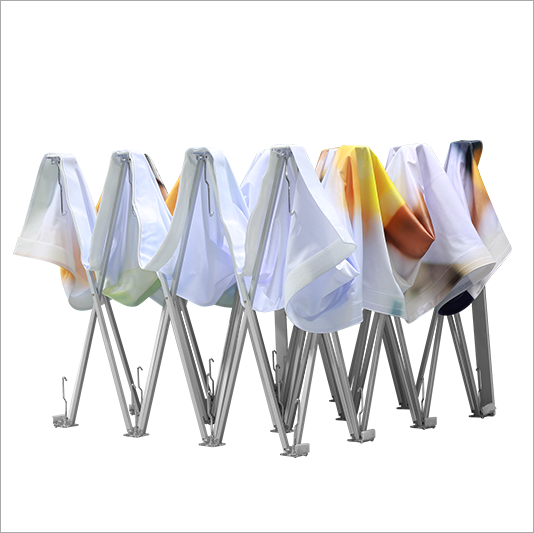 Elite Fabric Pop Up is a compact pop-up system that is easy to transport and quick to set up. 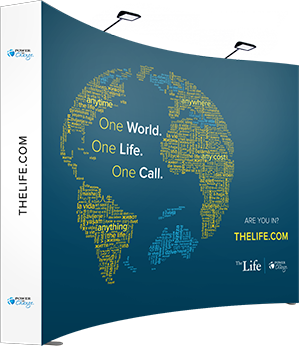 Convert your travel case into a podium with a custom graphics. 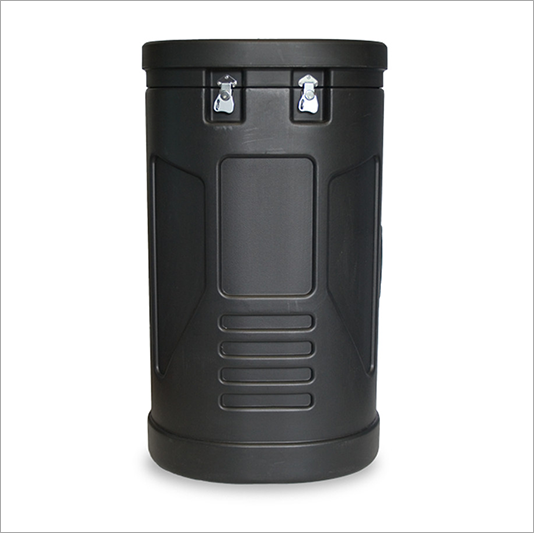 Optional hard case offers strong protection while being transformable into a podium with graphic case wrap. 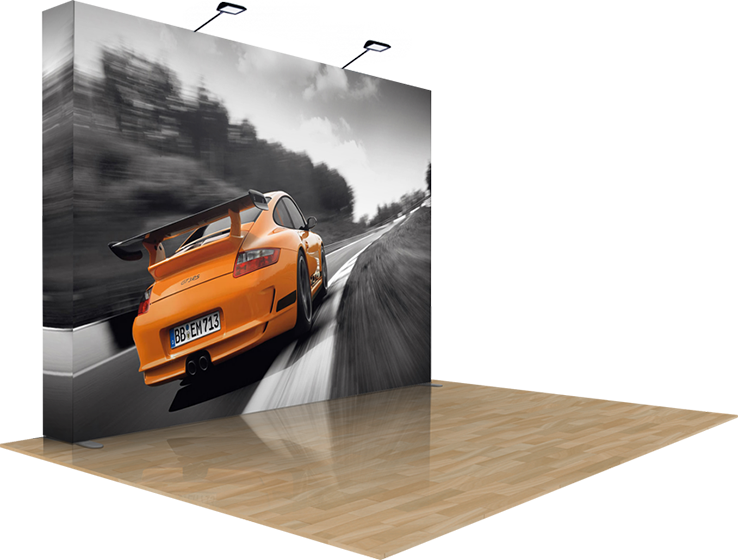 Add more advertising space with double side printing on straight Pop Up displays. 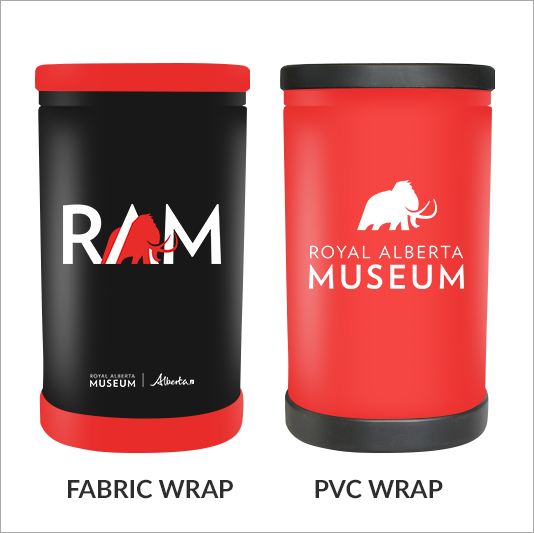 These Lightweight Fabric Pop Ups are ideal solution for your travel exhibits. 89.0" 89.0" 89.0" 89.0" 89.0" 89.0"